1891. The Decay of Lying | Pen Pencil and Poison | The Critic as Artist | The Truth of Masks. London: James R. Osgood, McIlvaine & Co., 1891. Original yellow-green cloth decorated in gilt. 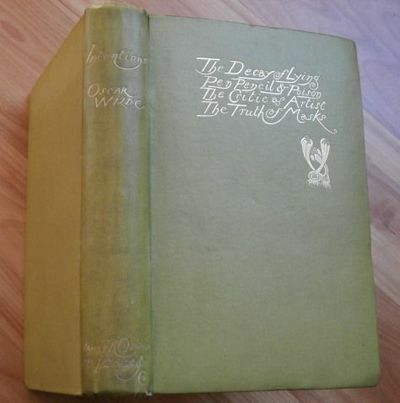 First Edition, which consisted of 900 copies (an additional 600 were printed for America with the Dodd, Mead imprint). This collection of essays was written at a time when "...sin in all its aspects became a preoccupation with Wilde, amounting almost to an obsession. This is evident in such of his writings as INTENTIONS, LORD ARTHUR SAVILE'S CRIME, and SALOME" [Hyde]. The cover design and lettering is by Charles Ricketts.~This is a near-fine copy (spine very slightly darkened, but essentially no wear at all). INTENTIONS has become a difficult title to acquire in collectible condition. Mason 341. Ägypten. Zweiter Theil: Ober-Ägypten und Nubien bis zum zweiten Katarakt. Handbuch der Architektur. III. Theil. Die Hochbaukonstruktionen. 1. Konstruktionselemente in Stein, Holz, Eisen. 2.1 Wände und Wandöffnungen. 2.2. Einfriedungen, Brüstungen und Geländer, Gesimse. 2.3, a Balkendecken. 2.3, b Gewölbte Decken; verglaste Decken und Deckenlichter. 2.4 Dächer, Dachformen. 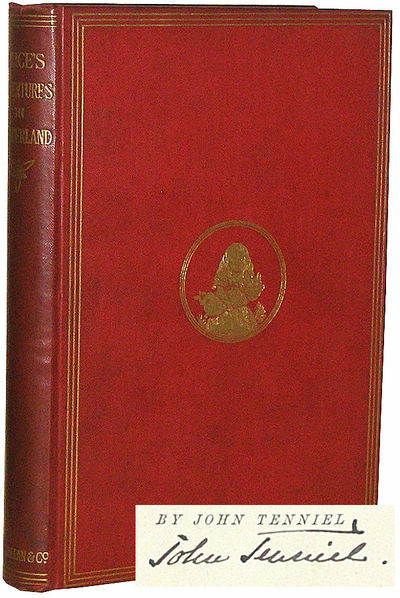 London: Edward Stanford, 1891.. Third, or "Popular", edition. Folio. viii, 32 pp. 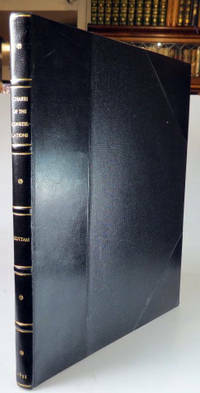 Recent black half morocco over matching sides, spine with raised bands, gilt lettered to two panels, ownership inscription of Cottam's son, Arthur Basil, to the head of the title page, with the prospectus for the first edition bound in at the rear. 36 charts plus a further three key charts. Some spotting, very good. 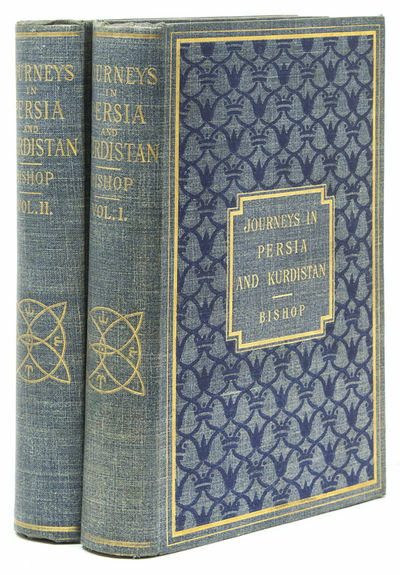 First published in 1889 in a small edition of just 200 copies, with a second edition appearing soon after, both on a larger scale to here. This popular edition, though physically smaller, has the advantage of the additional key charts and 32 additional pages of text. Brown, p. 82. Paris: Libreria A. Aimond, 1891. Some damage to flyleaves, upper cover with some ageing, but all quite sound and attractive. 184p printed in red and black, engraved frontispiece. 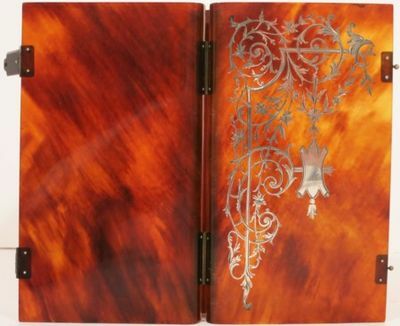 Bound in full tortoiseshell with watered silk flyleaves, tortoiseshell clasps and and ornate silver onlay on the upper cover. Boston: Little, Brown. Near Fine in Very Good dust jacket. 1891. Cloth. 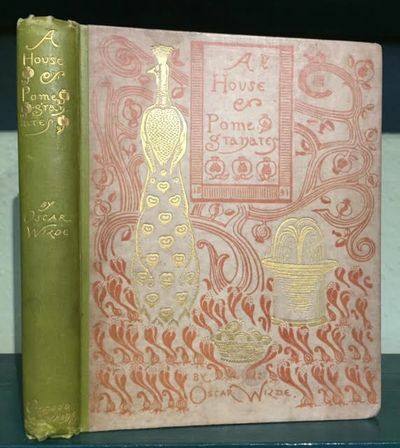 Brown cloth stamped with silver and black titles and illustrations, beveled boards, floral end-papers, in the publisher's printed paper dust-wrapper; pp. iv, 263, plus frontis and five additional b/w plates, and copiously illustrated in text throughout. Corners rubbed, pencil gift inscription dated 1891 on the first blank, else fine; the jacket shows waterspots, with large chips out at the spine head and upper panel and one puncture wound to the rear panel . London: Truslove & Shirley, 1891. Octavo, folding chart, folding plan of outrigger canoe, and eight photogravure plates; very good, in crushed brown half morocco gilt by Bayntun. 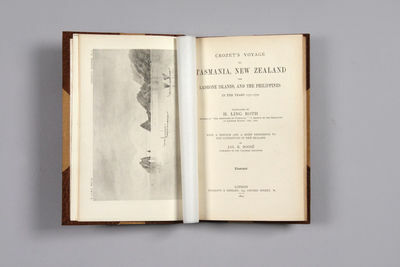 An attractive copy of the first English translation of Crozet's account of the South Pacific voyage of Marion-Dufresne, who in 1771 sailed to return the Tahitian native Ahutoru, who returned to Paris with Bougainville.The expedition was launched from Mauritius where the traveller Abbé Rochon was stranded; although he was denied permission to sail with the expedition Rochon later edited the present narrative from Crozet's log. The account contains a brief account of the Tasmanian Aborigines and a longer description of traditional Maori life, rich with primary information on food, hunting, warfare, shelter, fishing etcetera. After some misunderstanding Marion-Dufresne and about twenty crew were massacred by the Maori; the present edition contains Rochon's speculations on the cause of the massacre with an additional mid nineteenth-century anecdotal account included. Numerous scattered vignettes clarify issues in the narrative and there are informative appendices: aside from discussion of the massacre there is an appendix on the early literature of New Zealand and another on native canoes taken from Anson's Voyages. The edition was limited to 500 copies. London: Elkin Mathews, 1891. First edition. Hardcover. Orig. publisher's deluxe three quarter vellum and marbled boards folding case, backstrip lettered in gilt, lacking two of six cloth ties. Very good. 162 pages. 23 x 17.5 cm. Illustrated with numerous wood-cut vignettes by Crane. Limited edition, copy 9 of 25 copies on Japanese vellum for England, and signed by Crane -- of which 25 copies were printed for England, and fifteen for America (with three extra for the author as noted on the colophon). Contents loose as issued, and unopened. Interior contents as new. Autograph Letter Signed "Désiré Charnay" to "Mon cher ami" with the Latest News after his Arrival to Algiers for the Winter Season, the Letter is Decorated with a Printed Vignette Depicting Arab Camel Riders in a Desert]. Algiers 1891 - Algiers, 25 October 1891. Octavo (ca. 18x11,5 cm). 2 pp. Violet ink on thick paper with a printed vignette depicting travellers on camels in a desert. Centrefold mark, otherwise a very good letter. In a letter to his friend, noted French traveller and archaeologist D. Charnay describes his voyage to Algiers from France and his place of stay in the city: "Our place is 17 Rue Flatters, Alger, Belcourt, 20 minutes from town by train The weather has been very good, 24 to 28 degrees, also my wife is all right, although coughing always a little bit. I'm expecting rain and cold which will be a hardship for her" (in translation). The letter is decorated with an attractive printed vignette reproducing a photo of two Arab camel riders in a desert. "Claude-Joseph Désiré Charnay was a French traveller and archaeologist notable both for his explorations of Mexico and Central America, and for the pioneering use of photography to document his discoveries. In 1850, he became a teacher in New Orleans, Louisiana, and there became acquainted with John Lloyd Stephens's books of travel in Yucatan. He travelled in Mexico, under a commission from the French ministry of education, in 1857-1861; in Madagascar in 1863; in South America, particularly Chile and Argentina, in 1875; and in Java and Australia in 1878. In 1880-1883, he again visited the ruined cities of Mexico. Pierre Lorillard IV of New York City contributed to defray the expense of this expedition, and Charnay named a great ruined city near the Guatemalan boundary line "Ville Lorillard" in his honor; the name did not stick and the site is more commonly known as Yaxchilan. Charnay went to Yucatan in 1886" (Wikipedia). London:: Sampson Low, Marston, et al,. 1891.. First edition of STOKER'S FIRST NOVEL. 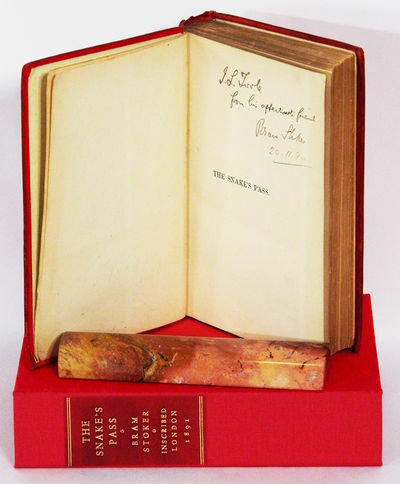 An early copy, INSCRIBED JUST TWO DAYS AFTER PUBLICATION to "J. L. Toole / from his affectionate friend / Bram Stoker / 20.11.90." (The copyright date is 1891 but the actual date of publication was November 18, 1890.) English comic actor John Lawrence Toole was a friend of Stoker's and of Henry Irving's. It may seem unlikely now but during his lifetime Stoker was better known as Irving's personal assistant and as the business manager of the Lyceum Theatre in London, which Irving owned. A testament to the friendship of the men can be found in the dedication to the first volume of Stoker's 1906 biography of Irving, PERSONAL REMINISCENCES OF HENRY IRVING, which reads "To the Memory of John Lawrence Toole Loving Comrade and True Friend of Henry Irving." SNAKE'S PASS is the only novel written by Stoker to be set in his native Ireland and is considered a clear precusor to his later works of horror, such as DRACULA. The story traces the troubled romance of traveler Arthur Severn and local peasant girl, Norah Joyce, against the backdrop of the re-telling of the legend of Saint Patrick's defeat of the King of the Snakes in Ireland. Spine faded, minor cover wear and spine ends a little worn but still a very good copy without any foxing. .
9 Eigenh. Brief m. U.
Berchtesgaden und München, 12.III.1876, 2.I.1888, 4.I.1888, 10.I.1888, 9.III.1888, 18.XII.1888, 10.X.1890, 5.XII.1890 und 23.I.1891. - Zusammen 28 SS. 8vo und 12mo. An einen Bibliothekar (Karl Halm? ): "Bei der Bearbeitung des Artikels Schubert für mein &#130;biographisches Lexikon' finde im Verzeichnisse der Schubertschen Autographen, auch Ihren werthen Namen und dabei: &#130;der zürnende Barde' von Franz Bruchmann [ ]" (12.III.1876). Am 2.I.1888 schreibt Wurzbach an einen namentlich nicht genannten Professor: "Wie Sie lieber Herr Professor zu dem Gedanken [ ] kommen, daß Sie, weil ich schweige einen persönlich ungünstigen Eindruck auf mich gemacht haben müßen, ist mir so wenig klar, wie die Ursache warum Russland a tout prix Krieg führen will. Als Sie damals im Frühling bei uns waren und wir einen heitren Tag erlebten, wartete ich einige Tage auf ein Lebenszeichen von Ihnen und da ein solches nicht kam, schrieb ich einen 6 oder 8 Seiten langen Brief an Sie noch ganz unter dem Eindruck des Wohlbehagens den Sie auf mich und meine bessere Haelfte gemacht [ ]". Brief an einen Herrn Wimmer am 9.III.1888: "Am 5. Jänner 1876 kam in der Komischen Oper in Wien zum 1. Male die 3actige komische Operette &#130;Fanfarullo' Text und Musik von Joseph Wirth zur Aufführung. Wissen Sie vielleicht [ ] etwas näheres über diesen Wirth zu sagen`? [ ]". "Sie haben mir wohl seiner Zeit ein Feuilleton von Ludwig Wothe &#130;Der Gespenstige Hausherr von Ober St. Veit gesendet, aber über seine künstlerisches Thun [ ] enthält dasselbe keine Zeyle [ ]" (18.XII.1888). - Der in Laibach geborene Schriftsteller trat vor Abschluß seines Jusstudiums in den Militärdienst, der ihn u. a. nach Lemberg führte, wo er 1843 als erster aktiver österreichischer Offizier promovierte. Im Jahr darauf verließ er die Armee, wurde Skriptor an der Lemberger Universitätsbibliothek, 1849 Vorstand der Administrativen Bibliothek des Innenministeriums in Wien und anschließend Ministerialsekretär im Staatsministerium. Nach seiner Erhebung in den Ritterstand 1874 ging er in Pension und lebte fortan als wissenschaftlicher Schriftsteller in Berchtesgaden. Sein zwei Jahre vor seinem Tod abgeschlossenes Lebenswerk ist das "Biographische Lexikon des Kaiserthums Österreich" (60 Bde., 1855-91). Vgl. Kosch IV, 3477 und Öst. Lex. II, 666. [Morvillo, Anthony, or J.M. Cataldo]. Desmet, ID: Typis Puerorum indorum 8vo (22 cm; 8.5"). ff., iv, 255,  pp., fold. tables.. 1891 The title-page of this grammar of the Nez PercÃ© language gives the author as "Presbytero missionario e Soc. Jesu in Montibus Saxosis" ("By a missionary of the Society of Jesus in the Rocky Mountains") and that missionary seems to have been one of the two offered above. The work was printed at the "Typis Puerorum Indorum" ("Indian Boys' Press") of the Sacred Heart Mission, a press that (despite its name) was unlike that at the St. Ignatius Mission that was used for teaching the art of printing; the Desmet press was apparently solely operated by the Jesuits themselves and was not used as a teaching tool. Another difference between these two famous mission presses is that the origin of this one is not known Â— but it is suspected that it came new from St. Louis. The present copy of the grammar is of unbound, never sewn sheets. If the online catalogue records are to be believed, many of the copies in college and university libraries are incomplete, lacking pp. 130Â–33. Or are those records a serious case of careless copy-cataloguing? => This copy is complete with all pages and both title-pages. Fine condition is a blue cloth clamshell box. Washington, 1891. Folio. Three-quarter morocco and marbled boards. Embossed library stamp on titlepage. Text leaves and some plates with minor edge chipping. Color bright and fresh. Very good. Shortly after the formation of the Smithsonian Institution the great American botanist, Asa Gray, was commissioned to produce a volume in its "Contributions to Knowledge" series on American forest trees. The idea was for a work with three octavo volumes of text and a quarto atlas. In 1850 the Secretary reported, "The illustrations are in the hands of the artists," that artist being Isaac Sprague. Sprague was self-taught, had apprenticed with John James Audubon, and was one of the most important and talented American botanical artists of the 19th century. Work was suspended on the present report while Gray was absent in Europe for two years. After this, funding could not be found, and the work as planned was never issued. In 1891, Secretary S. P. Langley decided to issue the plates which had been prepared, and the twenty-three plates which had been printed were issued with his brief explanatory introduction, after sitting unused for forty years. Most of the lithographic work was done by the firms of Tappan & Bradford, or Joseph Prestele. The very lovely plates depict a variety of tree flowers and leaves, including magnolia, tulip, maple, dogwood, cherry, apple, and plum. A handsome, scarce, and little-known work on American trees. Grahl, H., M. Jablonsky und K. Schlabach (Hrsg.). A Book of Drawings, by A. Bryan, L. Davis, A.T. Elwes, Harry Furniss, J. Jellicoe, J.B. Partridge, Jo Pennell, R.H. Moore, H. Railton, Hugh Thomson, L. Wain, C. Wilkinson, & W. Wilson. With a prefatory poem by Austin Dobson. Folio. Washington, D.C., February 4, 1891. 8" x 10". 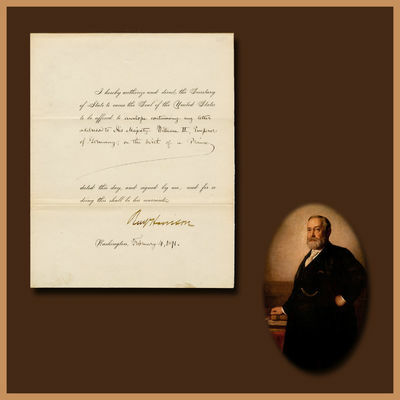 "Partly Printed Document Signed ""Benj Harrison"" as President, 1 page, 8"" x 10"". Washington, February 4, 1891. Completed in manuscript. Fine condition.In full, ""I hereby authorize the Secretary of State to cause the Seal of the United States to be affixed to envelope containing my letter addressed to His Majesty William II, Emperor of Germany, on the birth of a Prince, dated this day, and signed by me, and for so doing this shall be his warrant. ""German Emperor William II (Wilhelm II) reigned from June 15, 1888, until his abdication on November 9, 1918, two days before the Armistice ended World War I. He was 31-years-old when his youngest son, Prince Joachim of Prussia (1890-1920), was born on December 17, 1890. " Paris, Ludovicus Vives, 1891-1895. 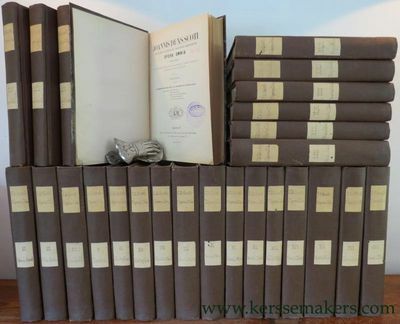 26 vols. Hardcovers. Together over 18.000 pages; 28x19 cm. Text in Latin. - (sl. worn, sl. browned, stamps on title pages, some corners sl. bumped, few bindings bit weak and sl. loose) Although still good set of this scarce work. See picture, more pictures on request. Weight is 43 kg. The so-called Wadding-Vivès text is a revision and enlargement of Luke Wadding's 1639 of the works of Duns Scotus. Vivès added the spurious Tractatus de perfectione statum. Mendeleev, Dimitri, Russian chemist and inventor (1834-1907). [St. Petersburg], 4 December 1891 - 8vo. 3 pp. To Vladimir Vladimirovitch, in Russian, concerning their joint contribution to an encyclopedia, ensuring the correct treatment of the terms 'gold plating' and 'nickel plating' in an article. - Mendeleev formulated the Periodic Law, created his own version of the periodic table of elements, and used it to correct the properties of some already discovered elements and also to predict the properties of eight elements yet to be discovered. Thesaurus inscriptionum Aegyptiacarum. Altaegyptische Inschriften. Gesammelt, verglichen, übertragen, erklärt und autographiert. 6 Teile in 2 Bänden. London, New York & Melbourne: Ward, Lock & Co, 1891. First Edition. Hardcover (Full Leather). Near Fine Condition. 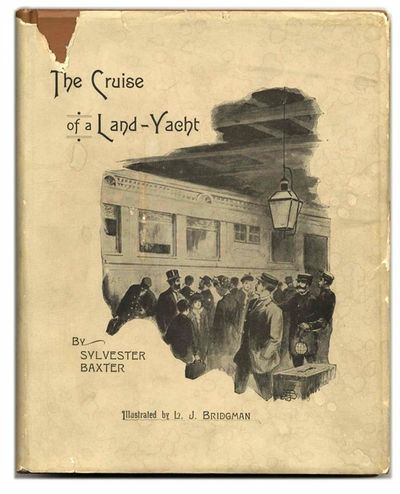 The first trade edition (undated with typo on 208), originally published in a different (shorter) form in Lippincott's in 1890. Rebound in full red morocco with gilt rules and intricate morocco inlay in an art deco style by Florence Walter. Short tear in the margin of page 162, scattered marginal finger marks, very clean overall. 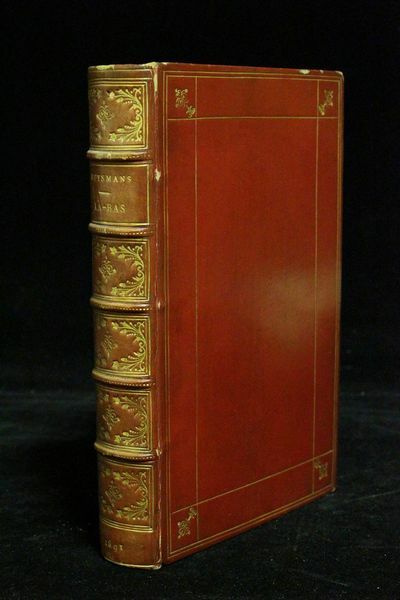 A lovely exhibition style binding on one of the great novels of the past 150 years. In a a morocco tipped slipcase with light wear. Florence Walter was a French style hand bookbinder active from 1934 - her work was exhibited by the Book Club of California in 2013 (The Legacy of Florence Walter, April 29-September 2, 2013) and her archive is held at Mills College where their bindery bears her name. Size: Octavo (8vo). Quantity Available: 1. Shipped Weight: Under 1 kilo. Category: Literature & Literary; Fiction. Inventory No: 045794. London: James R. Osgood McIlvaine & Co. 1891. 18 pp. Green cloth spine over cream-coloured cloth boards. Elaborately decorated design in red and gilt to front board, including a gilt basket of pomegranates. Spine gilt-lettered with pomegranate design. Slight wear to spine ends & corners. Boards somewhat darkened. Hinges partially cracked, but firm. Title-page, ornaments and endpapers designed by Charles Ricketts. Four plates by C. H. Shannon. As with all copies of this book, the plates are very faded, due to damage to the surface of the plates. Printed at The Chiswick Press. The four stories in the collection are: 'The Young King,' 'The Birthday of the Infanta,' 'The Fisherman and His Soul,' and 'The Star-Child.' A Very Good copy of the first edition. . Very Good. Decorative Cloth. First Edition. 1891. Small 4to..
Swiss pictures, drawn with pen and pencil. New Edition, revised and partley re-written. With several additional illustrations by Edward Whymper and a map. Paris: Tresse et Stock, 1891. Fine. Tresse et Stock, Paris 1891, 12x18,5cm, relié. - first edition on the current paper. Binding half full glossy red calf, spine slightly thinned with five nerves set with ornate golden double dotted ornate gilded coffered, gold tail date on castors golden headdresses, light friction on the joint minor, coaching a game gilded nets triple and florets in spandrels on the boards, small scratches on the second board, guards and contreplats of handmade paper, golden lace coaching contreplats, net gilded on the cuts, preserved covers, red head, elegant binding unsigned at the time. Pleasant copy drawn in a charming uniform binding. - [FRENCH VERSION FOLLOWS] Edition originale sur papier courant. Reliure en plein veau glacé rouge, dos légèrement éclairci à cinq nerfs sertis de pointillés dorés orné de doubles caissons dorés richement décorés, date dorée en queue, roulettes dorées sur les coiffes, légers frottements sans gravité sur les mors, encadrement d'un jeu de triples filets dorés et de fleurons en écoinçons sur les plats, petites éraflures sur le second plat, gardes et contreplats de papier à la cuve, dentelle dorée en encadrement des contreplats, filet doré sur les coupes, couvertures conservées, tête rouge, élégante reliure non signée de l'époque. Agréable exemplaire établi dans une charmante reliure uniforme. ZWANZIGTAUSEND JAHRE UNTER DEM EISE. ROMAN ... Autorisierte Deutsche Bearbeitung von Ludwig Wechsler. Berlin: Verlag von Otto Janke, n.d.,. . original (?) three-quarter green cloth and green boards, spine panel stamped in gold.. A very good copy. OCLC reports 2 copies. (#152271). First edition in German. Translation of Egész az északi polusig (All the Way to the North Pole), first published in Budapest in 1876. A fantastic adventure novel in which Pietro Galibas, the sole survivor of a scientific expedition, is found by an unknown race who dwell underground in a maze of caverns where they feed on frozen animals. The explorer discovers a cave with a lake of fire upon which he travels in an asbestos skiff. He finds and reanimates a young girl and her father, two Hebrews who have been in suspended animation for twenty thousand years (!) due the effect of the gas from the lake. An extraordinary voyage to the Earth's interior probably inspired by the work of Jules Verne. This novel has not been translated into English. Costes and Altairac, Les Terres Creuses 121. Bloch (2002) 1623. Nagl, p. 248. Stockholm: Frithiof Hellbergs förlag,, 1891. 2 volumes, octavo. Recased in the original black wrappers printed in orange, new endpapers. Extremities lightly rubbed and chipped, wrappers lightly scuffed and creased, text blocks strained in a couple of places but firm, margins lightly toned. A very good set. 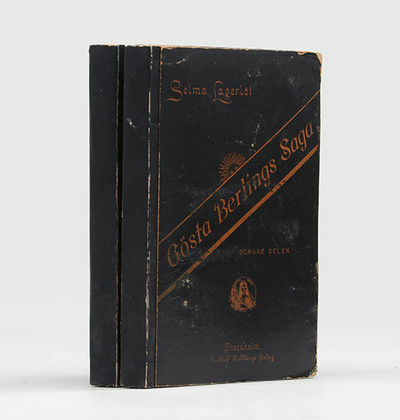 First edition, first impression of Lagerlöf's first novel. Presentation copy inscribed by Lagerlöf to Ida Falbe-Hansen and her partner Elisabeth Grundtvig on the front flyleaf of Volume I: "Frkr Falbe Hansen och Grundtvig med taeksamhet och tillgifvenhet, från förf". Lagerlöf (1858?-1940) was the first woman to be awarded the Nobel Prize in Literature (1909), as well as the first woman to become a member of the Swedish Academy. Gösta Berlings saga, "a fascinatingly original retelling of old Värmland folk legends in an effusive, personal, spontaneously lyric prose", launched her career (Smith, Dictionary of Modern European Literature, pp. 463-4). However, while the work met with mixed reviews in her native Sweden, it became popular in Denmark where it was published by Gyldendalske boghandels forlag in 1892. 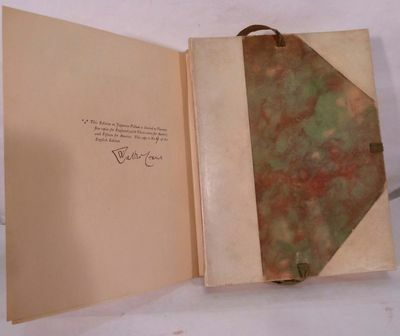 This copy is inscribed by the author to her Danish translators Falbe-Hansen (1849?-1922) and Elisabeth Grundvig (1856?-1945), with their pencil marginalia throughout. Falbe-Hansen and Grundtvig were essential in popularising Gösta Berlings saga in Denmark as well as in Europe. In 1891, they presented an extract of the work in "Kvinden og Samfundet", the newsletter published by the Danish Women's Alliance and of which Falbe-Hansen was one of the editors. When the complete translation was later published in 1892, they suggested Lagerlöf meet with Georg Brandes, the leading Scandinavian critic and literary scholar of the period, whose positive review of Gösta Berlings saga in Politiken on 16 January 1893 ensured the work's popularity in Denmark. Falbe-Hansen also assisted Lagerlöf in getting in touch with a German translator, ensuring a wider European audience for the debut. Apart from a close working relationship with Lagerlöf, Falbe-Hansen and Grundtvig shared the author's commitment to women's rights and suffrage. Falbe-Hansen was a member of the Danish Women's Alliance and the Women's Reading Circle, as well as one of the cofounder of the Danish Women's National Council, and she regularly campaigned for women's rights at meetings across Denmark (Den Store Danske Encyklopædi). An appealing association copy. Verlaine, Paul, French poet (1844-1896). Autograph receipt signed ("P. Verlaine"). N. p., 9. V. 1891. - Oblong 8vo. 1 p. Confirming the receipt of "la somme de cinq francs" to M. Varier. - Slightly light soiled. Superb letter to Alexander Graham Bell?s father-in-law, Gardiner G. Hubbard, the president of Bell telephone, extolling his Hartford telephone service ? three weeks earlier he had written to Hubbard a complaint letter, suggesting Bell come up to Hartford and work the telephone ?till he pines for the solace & refuge of his long hot home? ? Clemens now admits his advice was given ?in a moment of irritation? ? when Bell comes to Hartford ?he can have my place, I can get another.? [Hartford], [January 15, 1891]. 5.5" X 9". "Autograph Letter Signed ?Mark Twain,? three numbered pages (2, 3, 4), 5.5? x 9?, separate sheets. [Hartford, Connecticut, January 15, 1891.] Page 1 missing, but complete in itself. [To Gardiner G. Hubbard, President the Bell Telephone Company and father-in-law of Alexander Graham Bell.] Light pencil erasures at top blank edge of page ?2? ; surface damage at top left of page ?2? at three words, not affecting legibility. Fine condition.According to the Mark Twain Papers at the University of California, Berkeley, this letter was written by Mark Twain in Hartford, Connecticut, on January 15, 1891, to the Telephony Company; the university?s Mark Twain Project does not record the presence of numbered page 1. Numerous edits on page ?2?. By content, this letter was written to Gardiner G. Hubbard, President of the Bell Telephone Company and father-in-law of Alexander Graham Bell.In full, pages numbered ?2,? ?3,? and ?4? by Clemens on top: ?This marvelous experience convinces me that the time is coming, & very soon, when the telephone will be a perfect instrument; when proximity will no longer be a hinderance [sic] to its performance; when, in fact, one will hear a man who is in the next block just as easily & comfortably as he would if that man were in San Francisco. I am quite sure that this great day is approaching ?" & on lightning wing, if I may be permitted to use a phrase which seems to be going out first at a time when the market for it is daily improving. Indeed, this great day is already arriving. You will admit this yourself. Your Hartford service shows it. The expression ?darn? is already in common use. This was not the case aforetime. [?darn? replaced ?damn? because when one cursed, service was shut down.] This modification will be followed by other ameliorations of the telephone code; These by others still; until at last all questionable ornaments of speech will disappear, & you will stand up & talk to a telephone just as you would to a girl. Then the clergy will put the telephone into their houses again; they did not discard it aforetime out of hostility to it, but only on account of the difficulty of acquiring familiarity with the code. But enthusiasm is carrying me away. I must calm myself. A word more: in the circumstances, it seems a fair & indeed imperative return -courtesy that arrangements lately made by me in a moment of irritation, regarding the future of the inventor of the telephone, should now be modified; therefore please say to him he can have my place, I can get another. ?Three weeks earlier, on December 27, 1890, Clemens had written a letter of complaint about the telephone to Gardiner G. Hubbard, addressing the envelope ?To ?The Father-in-law of the Telephone,?? with his Washington, D.C. address. Hubbard?s daughter Mabel had contracted scarlet fever when she was five resulting in permanent and complete deafness. In 1867, when his daughter was nine, Hubbard help found the first oral school for the deaf in the United States, the Clarke School for the Deaf in Northampton, Massachusetts. Mabel became one of Alexander Graham Bell?s pupils at the school. On July 9, 1877, Gardiner G. Hubbard organized the Bell Telephone Company, becoming its president. Two days later, his 19-year-old daughter Mabel married 30-year-old Alexander Graham Bell.An annoyed Mark Twain had written Hubbard on December 27th, in part, ?If it had not been for Professor Bell, there would not be any telephone ... & consequently no Hartford telephone ... which makes him primarily & therefore personally responsible for the Hartford telephone. The Hartford telephone is the very worst on the face of the Whole earth. No man can dictate a 20-word message intelligently through it at any hour of the day without devoting a week?s time to it, & there is no night-service whatever since electric lighting was introduced. Though mind you they charge for night-service, in their cold calm way, just the same as if they furnished it. and if you try to curse through the telephone, they shut you off. It is this ostentatious business that gravels me. ?" Every day I go there to practice, & always I get shut off ... Well, as you see yourself, the inventor is responsible for all this. For your sake I wish I could think of some way to save him, but there doesn?t appear to be any.? The next four lines had been crossed out by Clemens. He continues, ?Now then, reconcilement to his fate will be the next best thing. Let him come up & work the Hartford telephone till he pines for the solace & refuge of his long hot home ... Meantime, good wishes & a Merry Christmas to you, sir! Mark Twain. 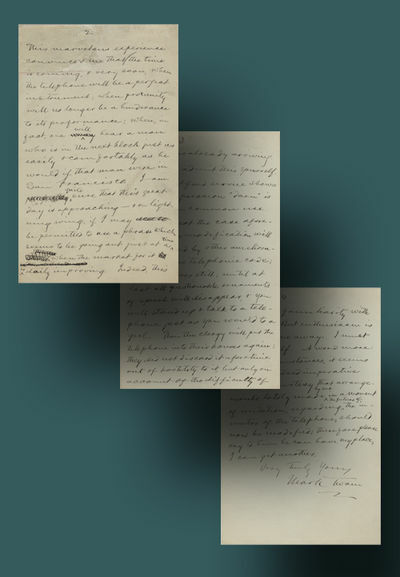 ?In the letter here offered, extolling the telephone, Clemens refers to his last letter to Hubbard in which he had suggested, as a ?reconcilement to his fate,? that Bell ?come up & work the Hartford telephone till he pines for the solace & refuge of his long hot home.? In this January 15, 1891, letter, Mark Twain does not back down from his suggestion ?regarding the future of the inventor of the telephone,? that Bell leave his Washington home and ?come up and work the Hartford telephone,? but modifies it, telling Hubbard to ?please say to him [Bell] he can have my place, I can get another.?" Stillleben mit Zinnkrug, Römerglas und Früchten., Öl auf Malpappe. Größe 56 x 81 cm, rechts unten signiert. Schwarzer schwerer Stil- Rahmen. Kleinere Farbfehlstellen, sonst befindet sich das Ölbild sich in einem altersgemäß- tadellosen Zustand. Jeu de voyage Suisse. - Reise durch die Schweiz. Voyage en Suisse. 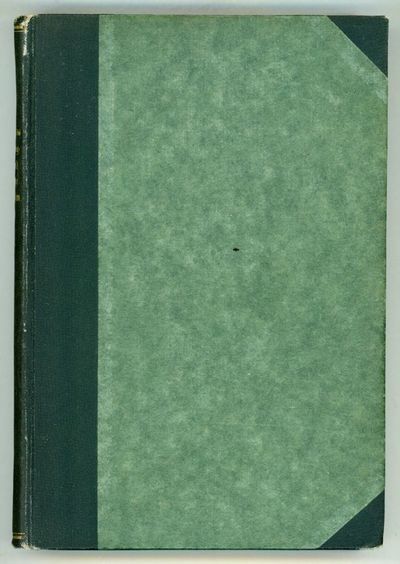 London and New York: Frederick Warne and Co.,. . original pictorial apple green cloth, front and spine panels stamped in light blue, black, dark green, red, and gold, publisher's device stamped in black on rear panel, yellow coated endpapers.. Very slight spine lean, cloth lightly worn at head of spine panel. which exhibits just a touch of age-darkening as well, upper rear. corner bruised, hairline crack to inner rear hinge, a tight, clean,. very good copy. A superior copy of this handsome volume intended for. the children's book market, with interior remarkably clean and the. front panel very bright. This book rarely shows up in better. condition. (#148106). Second (and first hardbound) edition. The front panel of this binding shows a man descending by parachute toward the rampart of a fortress. 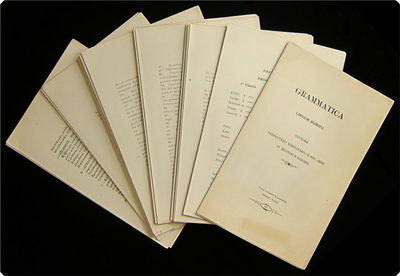 Copies of the "second edition" occur with and without some or all of the preliminary and terminal leaves printing the publisher's advertisements excised, and have title pages dated 1891 or have the date erased from the title pages (the former presumed to be earlier than the latter). The settings of signatures [A] and Q (first and last signatures) of this edition differ from those of the 1890 edition. This issue has one leaf of ads [(A)2] preceding half title leaf; date on title page is erased. 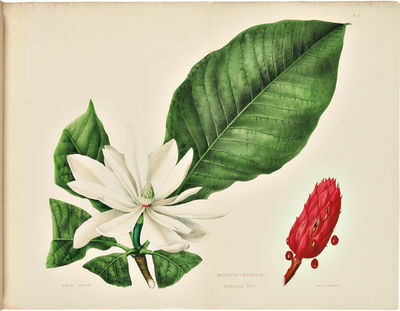 Added material comprises a conjugate pair of leaves with frontispiece and illustrated title leaf tipped in on leaf [A]4 , a dedication leaf "To Jules Verne" [(A)5] which is integral with contents leaf [(A)4], and "To My English Readers" [(A)6] which is integral with half title leaf [(A)3]. The ads in this edition are slightly changed with list of titles in "Warne's Crown Library" on page  expanded from 29 to 30 titles, last being "Mary Barton. By Mrs. Gaskell." Journey to Mars via steel globe, "motivated by insulating it from Earth's gravity" (Locke, A Spectrum of Fantasy, p. 61). Martian civilization is utopian but in decline. 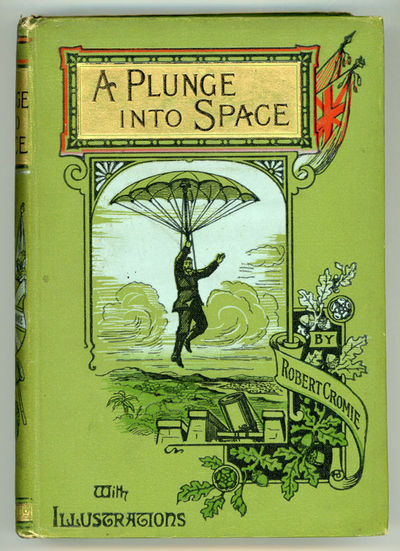 A historically important interplanetary novel bridging Verne and Wells. "Much sentimentality, but historically interesting, halfway position between Verne... and Wells." - Suvin, Victorian Science Fiction in the UK, p. 41. Anatomy of Wonder (1976) 2-53; (1981) 1-50; and (2004) II-288. Bleiler, Science-Fiction: The Early Years 505. Clareson, Science Fiction in America, 1870s-1930s 214. Lewis, Utopian Literature, p. 49. Locke, Voyages in Space, 56. Sargent, British and American Utopian Literature, 1516-1985, p. 84. Bleiler (1978), p. 53. Reginald 03637. Gesammelte Romane und Novellen. 12 Bände. Mit Fotoporträt von Schaarwächter. Blaue Orig.-Leinenbde mit reicher Deckelvergoldung (gering berieben; signiert Gustav Fritsche, Leipzig-Berlin). Berlin, Deutsches Verlagshaus (Emil Dominik) und Fontane & Co., (1890)-1891. - Seltene erste Werkausgabe, nach dem mutigen Verleger "Dominik-Ausgabe" genannt. Noch während des Erscheinens wurde das Projekt vom Sohn des Dichters verlegerisch übernommen (Bände X-XII). Die Bände 1-4 in der fast gleichzeitig erschienenen zweiten Auflage. &#150; Minimal berieben. Schönes Exemplar in den Einbänden der Leipziger Meisterwerkstatt. &#150; Wilpert-G. 30. Wandrey S. 400. Schobeß 44. New York: Dodd, Mead, and Company,, 1891. [Including: Bleak House; A Tale of Two Cities; Little Dorrit; Great Expectations; Oliver Twist; A Christmas Carol; David Copperfield; Dombey & Son; The Old Curiosity Shop; Nicholas Nickleby.] 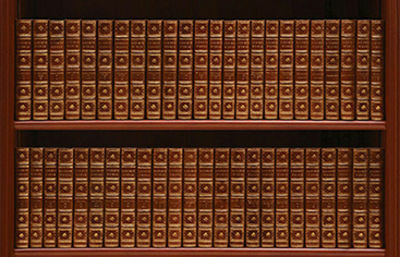 48 volumes, octavo (180 x 120 mm). Contemporary green half morocco, titles and decoration to spines gilt, raised bands, marbled sides and endpapers, top edges gilt. Frontispiece with tissue guard to each volume and illustrations throughout by amongst others Robert Seymour, George Cruikshank, H. K. Browne, George Cattermole and John Leech. Spines evenly faded to tan, intermittent dampstaining to margins of a couple of volumes. An excellent set. 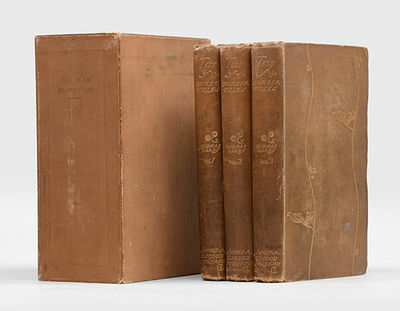 An extremely attractive library set of the works of Charles Dickens. London: James R. Osgood, McIlvaine and Co.,, 1891. In Three Volumes. 3 volumes, octavo. Original brown cloth, titles to spines and floral design to front board gilt. Housed in the custom brown linen slipcase and matching chemise. Spines rolled and browned, tips worn and lightly bumped, edges rubbed, rear hinge of volume II cracked but holding, some sporadic light spotting to contents, small marginal tear to foot of p. 85, Vol. II. A very good set. First edition, first issue with the following points: vol. I, p[v], line 12, "have it said"; vol. II, p.58, line 4, "Valasquez"; p.155, line 21, "seampstress"; p.199, "Chapter XXV" for XXXV; Vol. III, p.112, line 24, "are ye doing". Chicago: F. J. Schulte & Company. Fair in Good dust jacket. 1891. First Edition; Second Printing. Cloth. 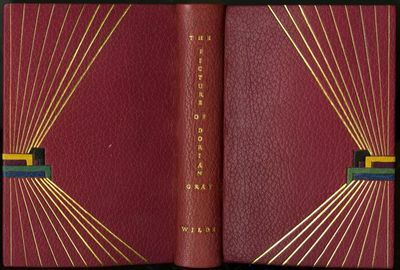 Published one year after the first edition, this is a second printing in maroon cloth with gilt decorations and titles showing damp stain on front board. 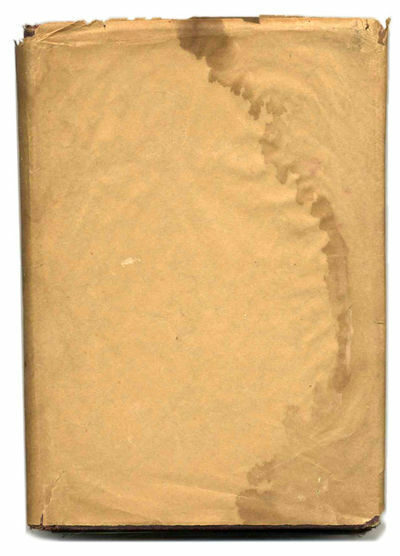 In plain brown paper wrapper showing matching damp stain. Ffep separated with pencil markings ; With Caesar's Column, Boisgilbert created one the first significant English language dystopian novels . Konvolut von 1620 Holzstichen aus der Zeitung Reform, davon 597 koloriert.